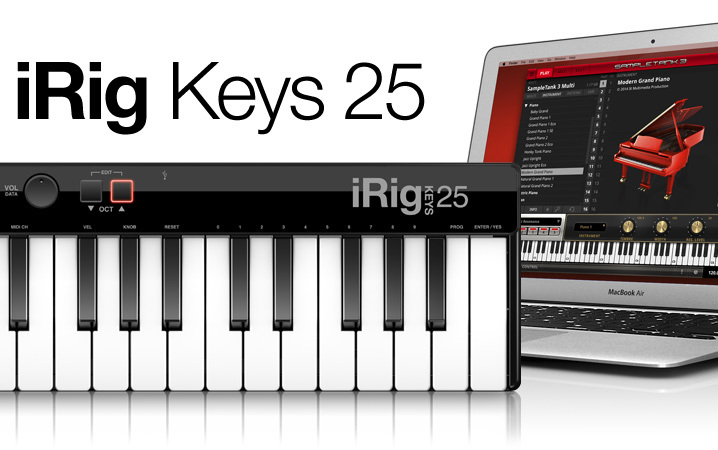 Naturally, iRig Keys 25 is also incredibly easy to use. 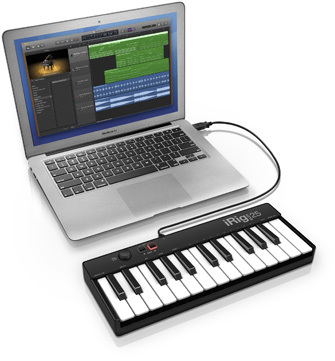 It comes with a USB cable and is fully class compliant with both MIDI and USB, which means that you just need to plug into your Mac or PC, fire up your favorite program and then start jamming. You'll be ready to go right out of the box: No additional apps, software or drivers are necessary to get up and running. 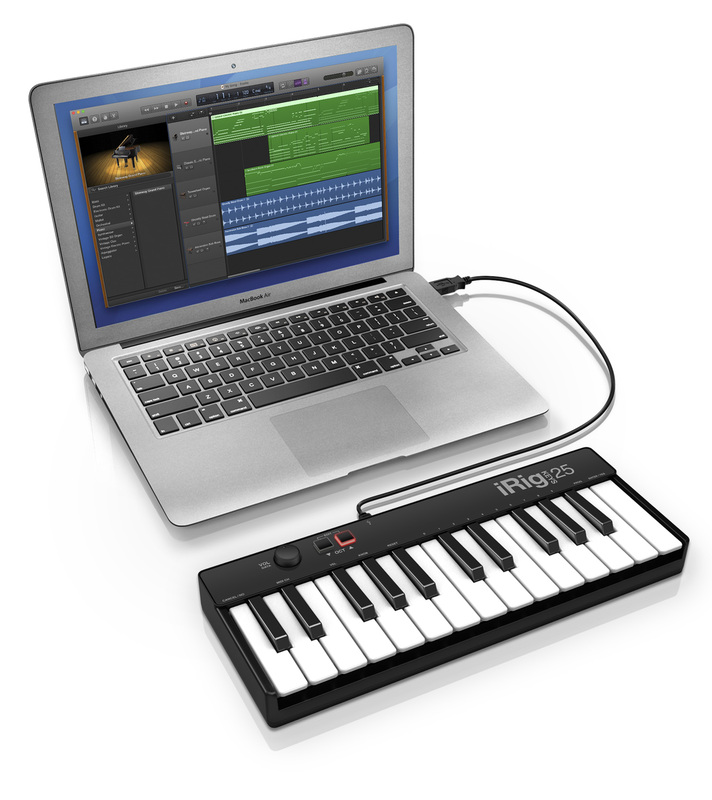 iRig Keys 25 has been made with your mobility in mind: It doesn’t require a power cable because it gets all of its juice from the USB port of the connected Mac or PC. 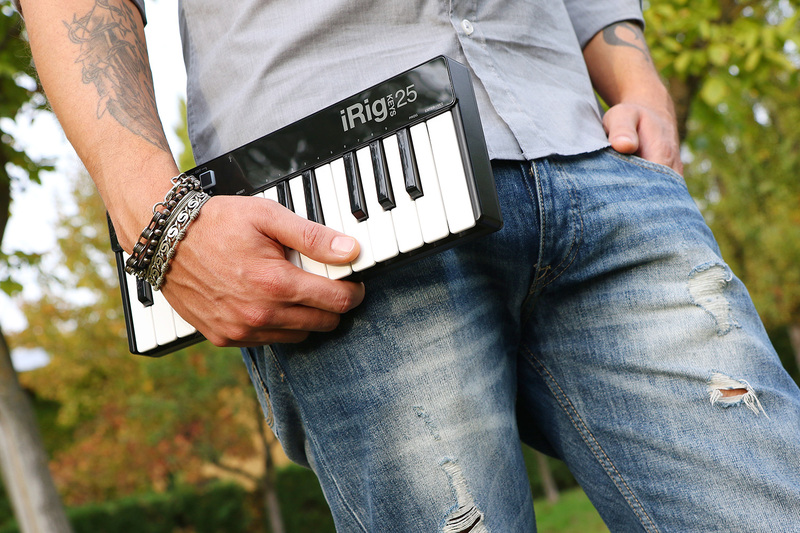 You can also use iRig Keys 25 for live performance and other creative uses. 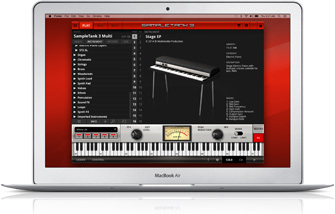 It comes with a complete spread of powerful software from IK Multimedia that will help you get started immediately. 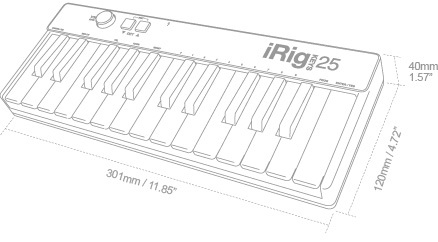 How portable is iRig Keys 25? 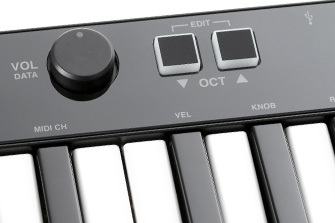 Extremely portable. The small footprint of its 25 mini-keys makes for one of the most compact and portable keyboards on the market. 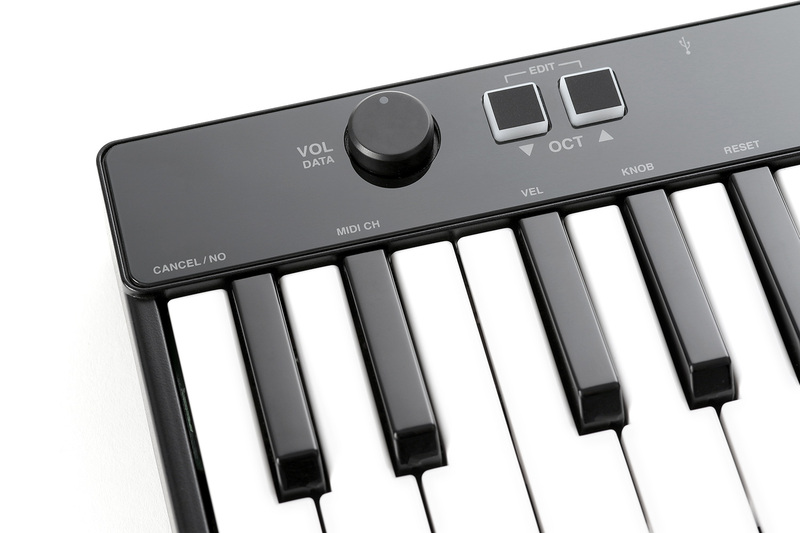 Pair that with its almost featherlight weight and you have a MIDI keyboard controller that offers an unbeatable combination of compactness, convenience and full-featured functionality. 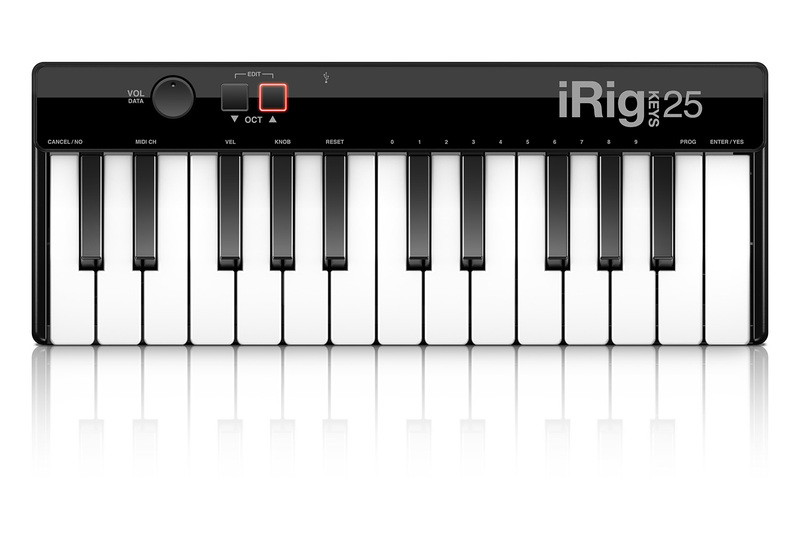 iRig Keys 25 gives you a full 2 octaves (plus 1), which strikes a perfect balance between portability and playability. 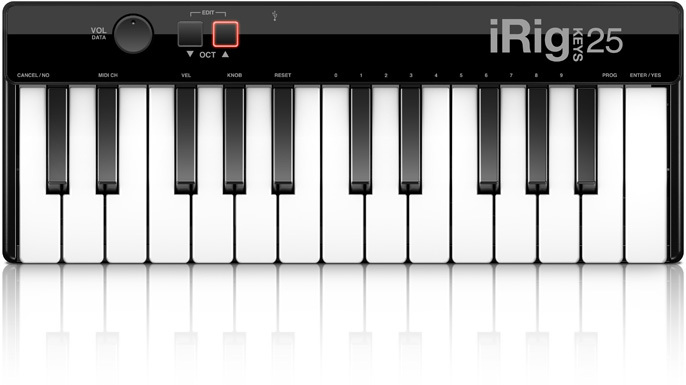 And, to help you better express yourself while on the go, iRig Keys 25 also comes with a streamlined selection of handy controls: You get velocity sensitivity, a volume/data knob and soft-touch Octave Up/Down buttons.